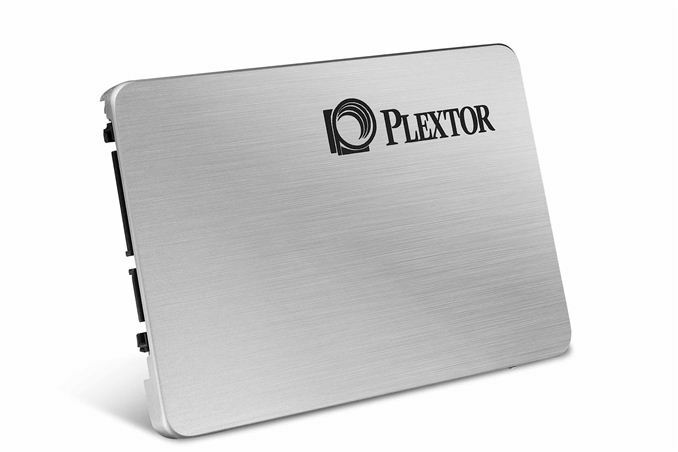 Plextor has been making a name for itself in the SSD space lately with its M-series of drives. The M3 and M5 lines are well received and remarkably competitive, especially considering Plextor is a relative newcomer in the SSD space. Earlier this week Plextor reached out to us with an offer of two 128GB M5 Pros to give away on the site in exchange for a little market research. Plextor wants to know what you know about Plextor and/or what your experience has been with Plextor products. Leave a comment answering one or both of these questions below and you'll be automatically entered to win one of the two 128GB M5 Pros. The M5 Pro is a 6Gbps SATA drive that uses Marvell's 9174 controller with Plextor's custom firmware. The 128GB model we have here today is capable of sequential reads/writes of up to 540/330 MBps, and random read/write speeds of up to 92K/82K IOPS. The giveaway is only eligible for US residents (excluding Puerto Rico). Please only leave a single comment below to enter. We'll be drawing two winners when we close for entries on April 20th. Entry Period. Each Promotion will contain a specific time period within which entries will be accepted (a “Promotion Period”). The Promotion Period for this Promotion shall run from 12:01 AM ET on April 15, 2013 through 12:01 AM ET on April 20, 2013. Only entries received during the Promotion Period will be accepted. Prizes. Winning a gift, prize, or other promotional item (a “Prize”) in a Promotion is contingent upon fulfilling all requirements in these Rules. Winners will be selected in a random drawing of eligible entries received during the Promotion Period. AnandTech will notify Prize winners using the contact information provided in the winning entry. Failure to claim a Prize by the time or in the manner specified in the particular Promotion will invalidate any claim to the Prize. Prizes are not transferable. The odds of winning a Prize or the Grand Prize depend on the number of entries received by AnandTech. TO THE MAXIMUM EXTENT PERMITTED BY APPLICABLE LAW, ALL PRIZES ARE PROVIDED “AS IS” AND ARE NOT EXCHANGEABLE FOR FAIR MARKET VALUE. TO THE MAXIMUM EXTENT PERMITTED BY APPLICABLE LAW, ANANDTECH DISCLAIMS ALL WARRANTIES WITH RESPECT TO THE PRIZES, INCLUDING THE IMPLIED WARRANTIES OF MERCHANTABILITY, FITNESS FOR A PARTICULAR PURPOSE, TITLE, AND NON-INFRINGEMENT. For this Promotion, two winners will be selected by April 22, 2013 and will each receive a 128GB Plextor M5 Pro described above (“Grand Prize”). The Total U.S. Retail Value of the Grand Prize is $200.00. The Grand Prize may not be substituted for cash. The Grand Prize winner will be solely responsible for all applicable taxes, fees, and surcharges associated with receipt and/or use of the Grand Prize. After the Grand Prize winner has been notified and has complied with all applicable Rules, AnandTech will post the Grand Prize winner’s name on this website.